4 st show of her 1983 Fun Tour. (FM Radio brodcast) - Fun Tour (November 22, 1983 - December 9, 1984) Shows = 98 in North America, 3 in Europe : 101 in total. 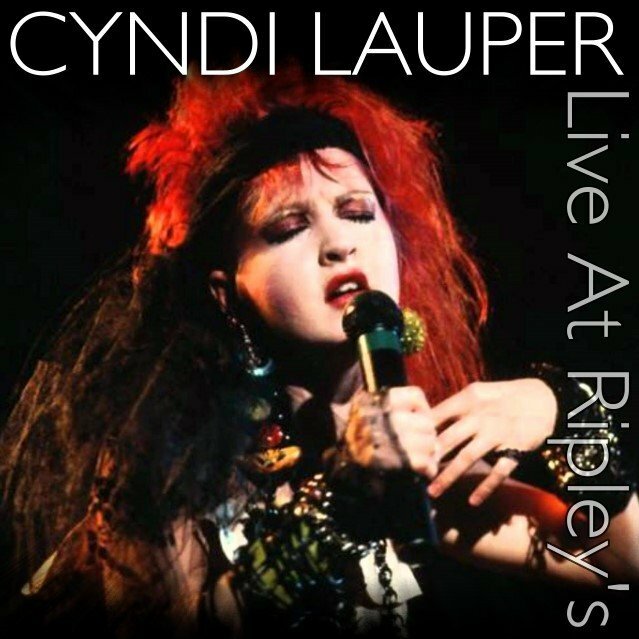 The Fun Tour was a concert tour by American recording artist Cyndi Lauper in 1983-1984 in support of her debut album She's So Unusual. It was her first major headlining tour, with over 90 dates in various cities across North America. The trek ran from November 1983 and ended in December 1984, Lauper also visited Europe performing three shows: one in Paris, London and Switzerland. although it never happened. The video for "Money Changes Everything" was cut from the filming. The show was broadcast locally over the radio that night. The show at The Palace in Hollywood in February 1984 was filmed and aired as a show called "Rock of the 80s" on Showtime that featured Cyndi as the headliner along with Madness and Ultravox. The show on New Year's Eve of 1983 going into January 1 of 1984 was a concert at the Ritz that aired on Mtv that night. It was Mtv's New Year's Eve special, and Cyndi sang a pretty full set. It only aired on Mtv. Live At Ripley's 0 out of 5 based on 0 ratings. 0 user reviews.